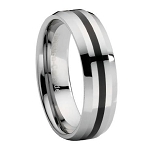 A cool streak of silver runs through naturally black satin finish Seranite in this men's designer wedding ring. The 8mm comfort fit band boasts a concave design made of the unique, durable and scratch resistant ceramic-based material Seranite. 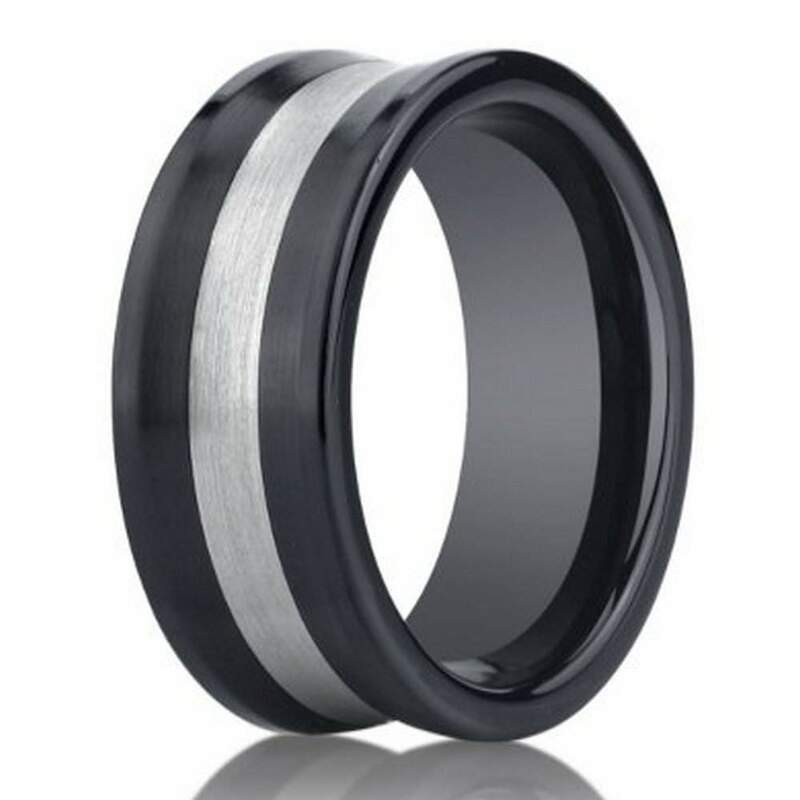 This contemporary ring has the weightlessness of Titanium, the strength of Tungsten and a striking look all its own. Comfort fit rings usually measure 1/2 size smaller due to the additional metal inside the ring. We recommend having your finger measured for a comfort fit ring at your local jewelry store.